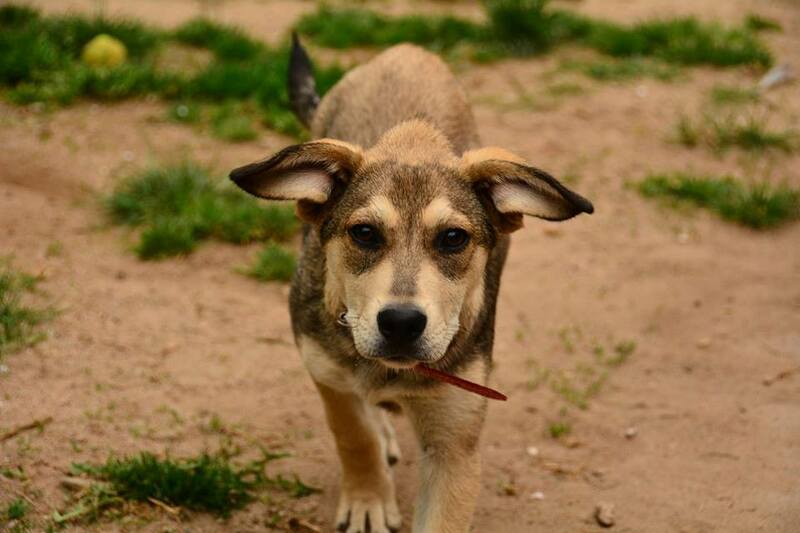 Recently we have written plenty about the projects we are running in Romania and the dogs desperately needing support as well as the dogs urgently needing homes. We thought perhaps it was also time to share some of the Happy Tails again. 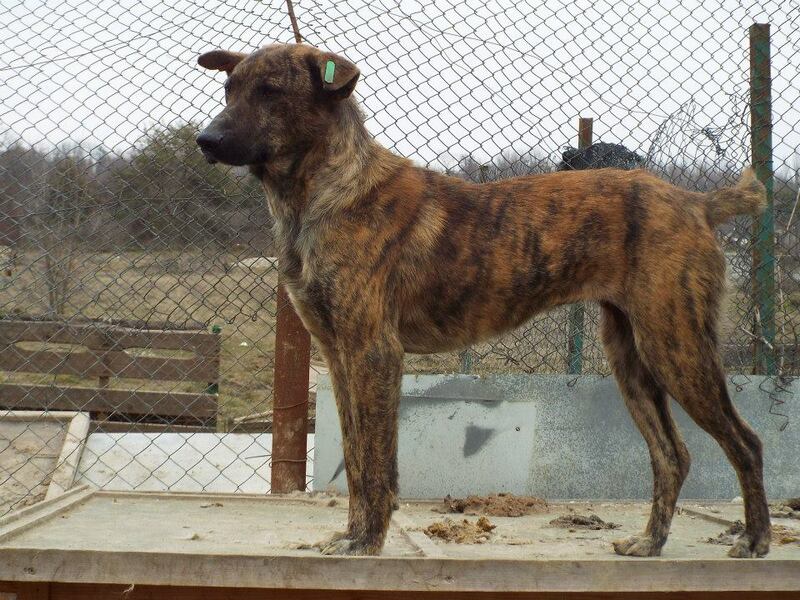 This weekend another group of our dogs made it to safety and out of Romania. Many of these dogs have spent years of misery in the shelter and as long as they remained in the shelter their lives were in danger. As previously written we are constantly battling to try to keep the puppies alive and also work at convincing the shelter management not to euthanise dogs. Even dogs in private foster are not safe anymore as was recently shown by the action of the dog catchers against the Vier Pfoten dogs in a private shelter which led to the death of 8 dogs destined for homes in Germany. It is therefore always fantastic when we find foster or forever homes for these dogs outside of Romania as then we know they will survive and they will be free for the rest of their, hopefully very happy, lives. And so it is with great joy that I can share the news that some of the dogs we were trying to urgently find homes for have left Romania. 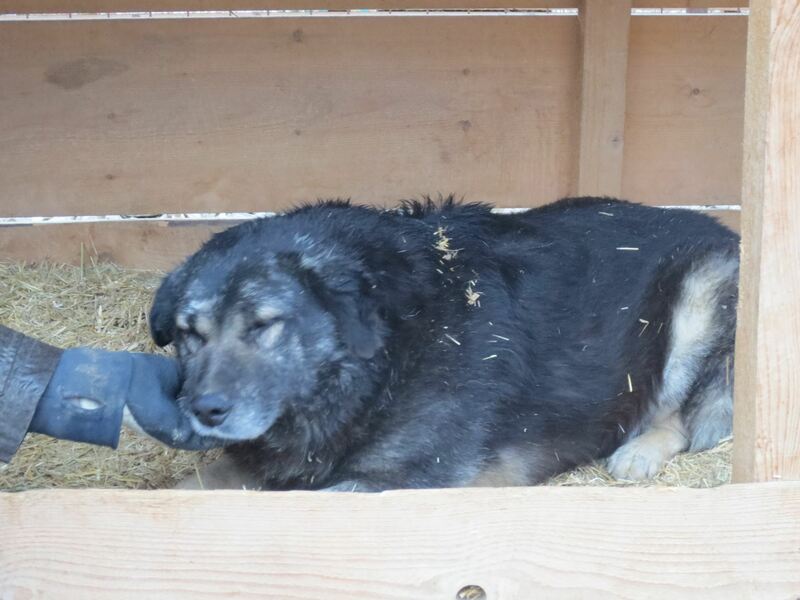 My personal favourite is little Lorry, who is blind in one eye, and who was brought to the shelter three weeks ago. Whilst she had not been in the shelter long her impaired eye-sight meant she was in danger in the shelter and we had to get her out. It would have been highly likely that a disabled dog like Lorry would make it on the euthanisia list when it comes. 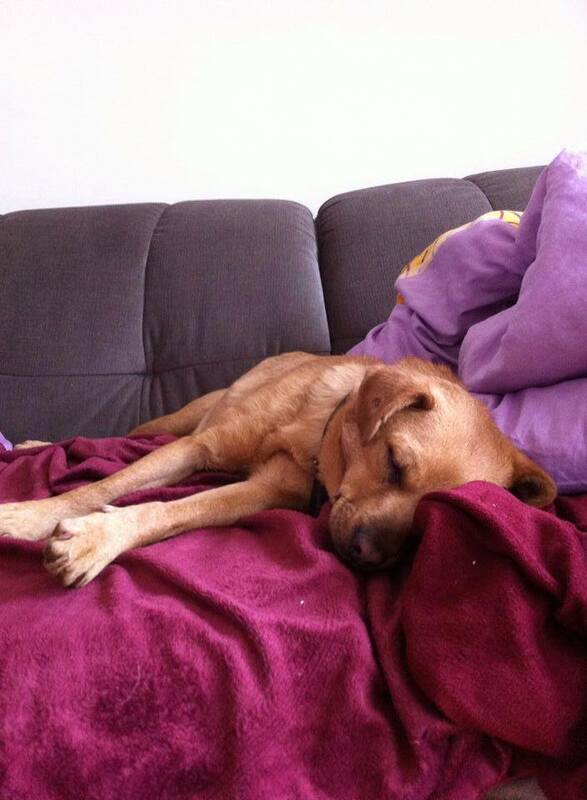 Fortunately she is now safe in Germany in foster care and as you can see she is already nicely settled and relaxed in her new home. She is still looking for a permanent home but she will be safe and loved for until one is found for her. There were also though other dogs who had been in the shelter for much, much longer than Lorry who have now made it to safety. Eddie spent six years in the shelter. He not only beat all the odds by surviving this long in the shelter but he also has now beat all the odds by making it out of the shelter and to safety in Germany. I think his very big smile says it all! Another wonderful photo is of Samo and Raymond. 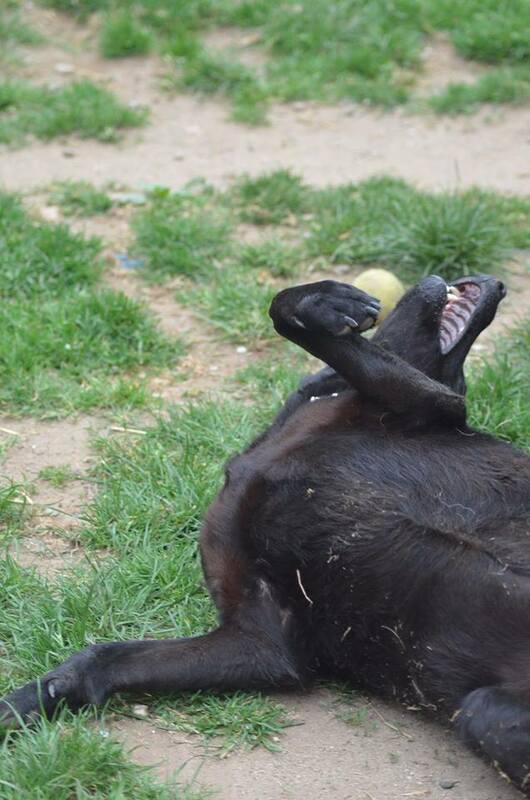 These two dogs are finally able to enjoy life and play like young dogs should. In the shelter life is too much of a struggle and young dogs have to fight to survive and have little energy left for play. 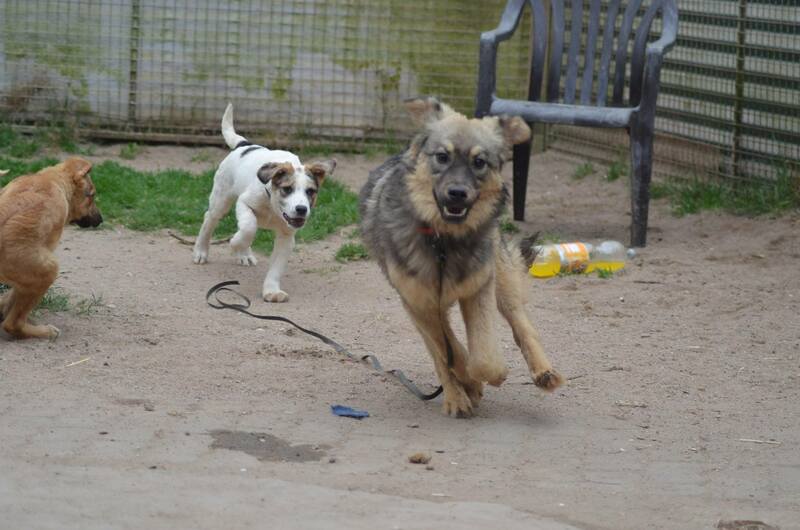 But Raymond and Samo are now free in Germany where they will hopefully soon find forever homes. Other dogs that made it to safety include the cute little Moflea, who was rescued as a very sick, tiny puppy with his three siblings. They did not survive but he did and now he is free and happy. 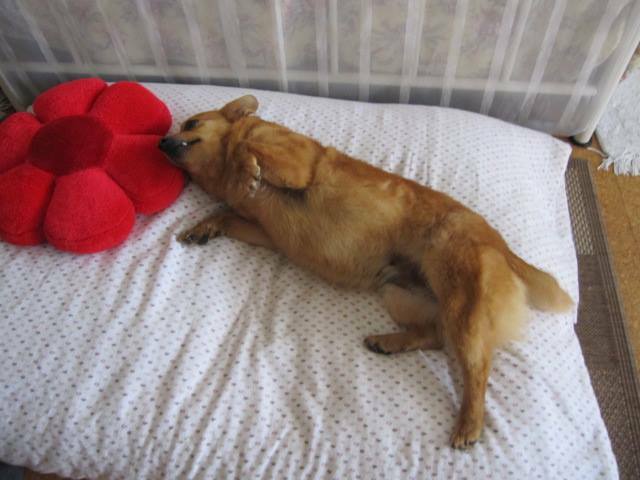 Then there is the tiny little Suky who struggled to survive in the shelter but as you can see is now very happy and relaxed in her new home. This photos are wonderful and make all the heartbreak and sadness worth it. The happiness of these dogs, after all they have been through, after all their pain and misery, is truly brilliant. These dogs are finally free, safe and happy. Most of them are still looking for forever homes but they are safe in foster care and no longer have to fight for their lives. We cannot thank all of those who made these happy tails possible. We thank the wonderful people who have offered these dogs foster places – offering them safety until they can find forever homes. We thank those who offer these dogs the happiness and freedom they deserve. Thank you with all our hearts. And thank you to those who take this dogs out of these foster places and give them permanent homes – freeing place up for more dogs from Romania. Sadly there are still so many dogs in need and who desperately need to get out of Romania to safety. They are still battling every day for survival in the shelter or on the streets. They are constantly in danger of being euthanised or being killed on the streets. For these dogs we need more foster and permanent homes. We need more people to come forward and be part of our Happy Tails! We need more people to give these dogs and chance – and find out how rewarding and amazing it is to see the pure joy in the eyes of these dogs who have finally made it safety and the love their give back to whoever gives them that bit of warmth and comfort. Why not have a go at being a foster? It is not a committment for ever – simply until a forever home can be found. And who knows perhaps you will fall in love or find your best friend in the process? Why not step forward and help us make more of these wonderful happy photos? 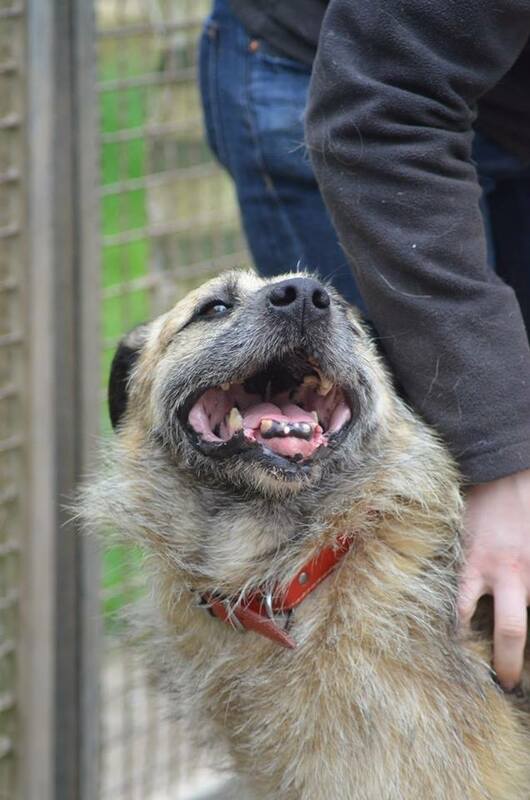 In the shelter Franz doesn’t get the cuddles he loves – can you help him? Poor old Larry is still waiting to get out of the shelter – please help him! ← If only it were an April Fool’s joke ….